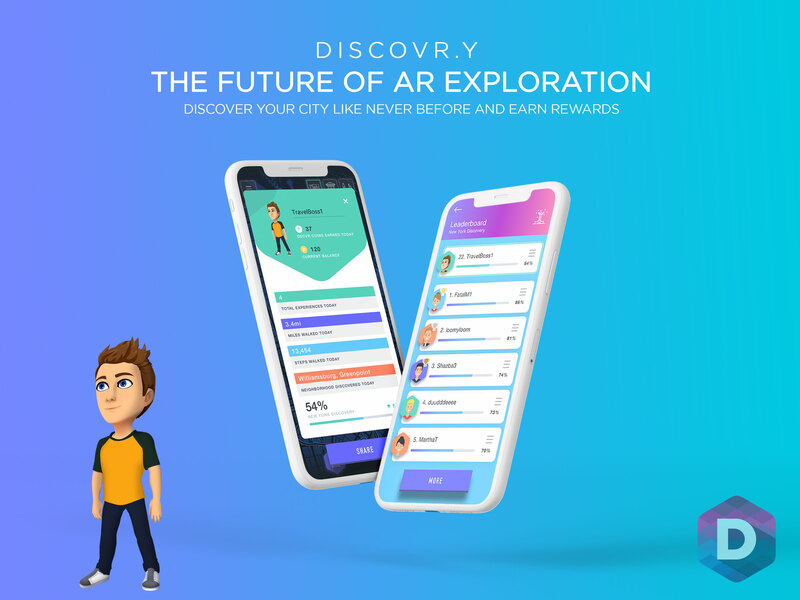 Discovr.y is an Augmented Reality discovery game that helps users find relevant experiences around them & rewards them in redeemable tokens for their discovery actions around a city (things like checking-in or leaving a review). Our gamified & social features allow you to be fully immersed in an exploration journey which motivates you to see every corner of your city & the rest of the world & experience everything that makes the world exciting. Challenge yourself, your friends & others in your city to reach the top spot in City Discovery % on our Leaderboard, spend your hard earned tokens on value deals from establishments in our Deals of the Day section & track your discovery progress in our Life Stats section.